After a long day walking around the Colosseum, you are ready to sit down, rest your feet and grab a bite to eat. You are in luck! There are many places to eat near the Colosseum. For some of you foodies, you have seen the tourist joints located near the monument and decided that it is not your scene, and good, it’s not ours either. Here is a list for the Top 5 Places to Eat Near the Colosseum that are sure to spark your taste buds. One of the Roman foodies favorite is Luciano Luzzi Trattoria. This Pizzeria is located a short 5-minute walk from the Colosseum, which is perfectly convenient for a tasty lunch after your Colosseum Underground tour. With classic, wood-oven pizzas & generous portion sized pasta dishes, Luzzi is a great place to stopfor lunch. They accept Visa and MasterCard, which makes your life easier. This establishment may be intimidating because of the line of Romans outside, but this is a good sign and it’s definitely worth the wait. With over 40 herbal teas to choose from, how can you not love Café Café? After you’ve been walking for hours, kick your feet up and enjoy a fresh fruit smoothy. 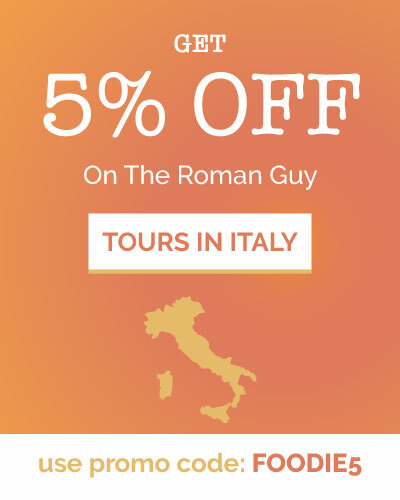 Not only is it located just around the corner from the Colosseo but it’s also open every day! The ambiance is casual, quiet, and comfortable, providing a perfect escape from the flocking crowds. The first thing you want to avoid when looking for somewhere to eat in Rome, is the touristy restaurants that surround the monuments. Often the prices will reflect its location. However, with Li Rioni this isn’t the case. This restaurant comes highly recommended by locals because of their authentic Italian pizzas. When you go to Li Rioni we recommend trying the ricotta stuffed zucchini flowers. When it comes to Taverna dei Quaranta you may find yourself stopping in for another visit before you leave Rome, it’s that good. This family-run oasis offers friendly and helpful service. If you are sick of the typical pasta & pizza, it’s definitely worth a visit to this restaurant for authentic Roman food. The delightful atmosphere shows the antiquity of the building. By skipping certain frills that other restaurants offer, they manage to keep their prices down. It’s the perfect stop for an easy afternoon meal. If you have any foodie enquiries, feel free to contact us via our social media channels on Facebook, Instagram, or Twitter, we’d love to help you eat well! 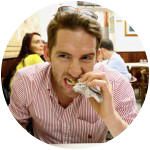 Or better still, you can enjoy Rome’s delicious cuisine with one of our Rome food tours or try a 3 Tour Combo deal and see the Colosseum, Vatican and enjoy a food tour, all with 10% off! Want to skip the queues and visit the Colosseum? Check out The Roman Guy’s Colosseum Arena Floor Tour for some “behind the scenes” VIP fun on a budget!